Special Thx to Lance VII the Creator of this wonderfull Fangame. 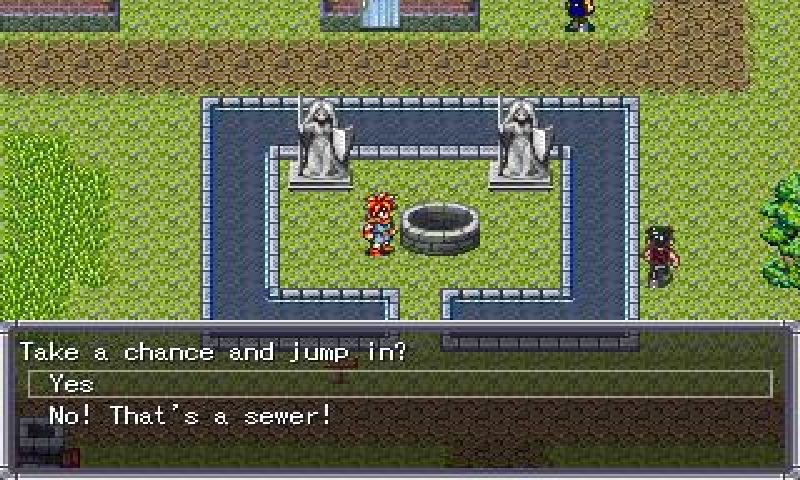 Chrono Alter is a Fan Game that plays after Chrono Trigger and is complete in english this Time :-) Enjoy this very nice Game on the Open Pandora with EasyRPG :-) Special Thx to Lance VII the Creator of this wonderfull Fangame. Buy all elixirs you can at the town shop, there wont be a shop for a while. Also, the nagging dialog in the tutorial will be gone after that battle. no anti obstruction. I recommend to grind (and get back to the town to get healed) instead of avoiding the baddies.